Are you experiencing excessive airplane noise? The first KHHR Communities Network Committee meeting was held in January and it was more of a ‘getting to know you’ meeting. 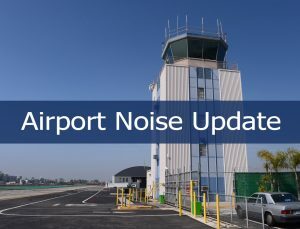 If you are experiencing excessive or unacceptable airplane noise levels then Hawthorne needs to know about it. The airport has been implementing changes over the last month and will need data from residents to determine if the changes are working. The Redondo Beach representative on the KHHR Committee is Roxanne Ferebee, a Redondo District 5 resident. The next opportunity for all residents to address the Hawthorne Committee is April 18, 2019. To directly file a complaint click here. You can obtain specific airplane information by using the app: FlightRadar24.